Arma 3 - SITREP #00209 A Happy New Year and the Unsung Vietnam War Mod! Greetings! 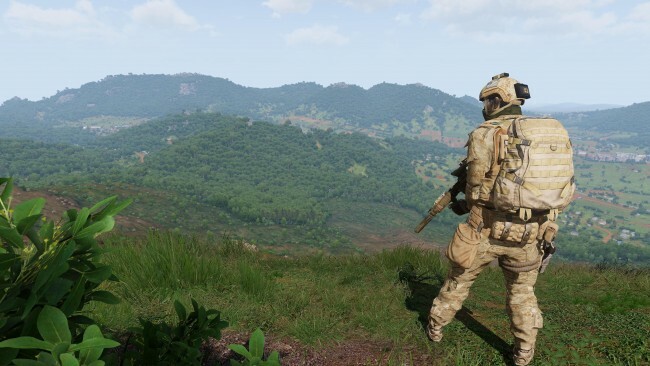 After a short winter hibernation, the developers of Arma 3 are back in full force! High Command comes to us with vision and hopes to an epic start to a new year! Arma 3 Tanks DLC is in sight, another awesome addition to look forward to! 2017 was a great year for Arma, 2018 should just get better. Notably, Arma 3 made it into two of the "Best of 2017" lists of games available via Steam: Top Sellers and Top Played! Some of you may have noticed that the web pages and online services have changed! Bohemia is now hosted on a different website domain: bohemia.net (previously it was bistudio.com). To ensure integrity, the developers have made sure that the old links should redirect automatically! However, you should definitely report any difficulties that occur. The package contains numerous new weapons, uniforms, vehicles, and several terrains, which makes it the ultimate go-to package for those wanting to re-enact historical combat situations in this 70s Vietnam setting. The mod is still often updated by its very active creators, and we fully recommend everyone to check it out. Visit the Steam Workshop page for more details!